CJ Blossom Park is featured extensively in Architect magazine’s June issue focused on the future of the workplace. 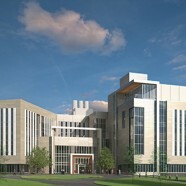 A new world-class research and development headquarters for CJ Corporation, the 1.2 million sf building is conceived as “The Only One” and consolidates CJ Corporation’s previously disparate pharmaceutical, biotechnology, and food products businesses into a single location, enabling it to create industry-defining product strategies and increase its global competitiveness. 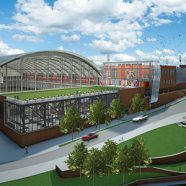 The project feature can be viewed as part of Architect’s online issue. Below is an excerpt from the Q&A discussion-style article featuring our Mehrdad Yazdani and Mark Hirons. Architect: You researched the client and its company culture while preparing for the competition for this project. What did you learn and how did it influence your design? 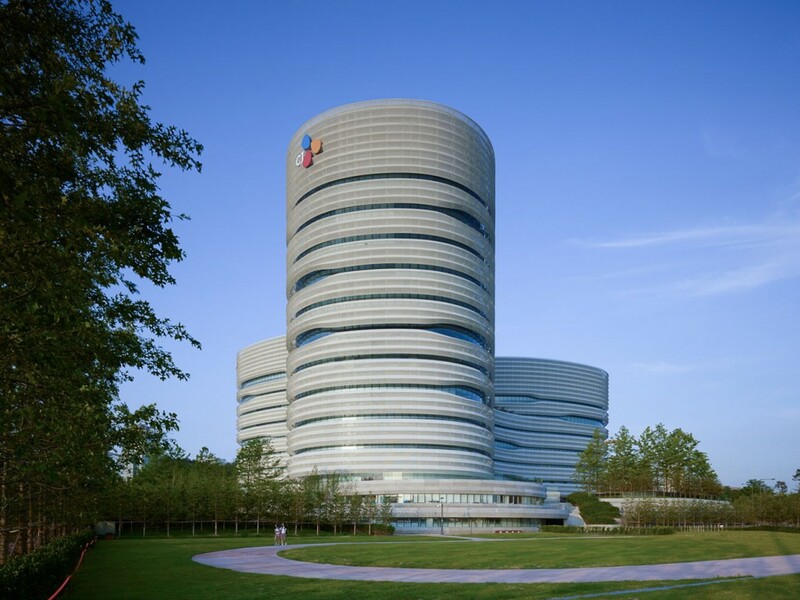 Yazdani: This is a 1.2 million sf research and development facility on a fairly new campus to the south of Seoul, and the intent was to bring three divisions of CJ Corp – food, pharma, and biotech – under the same roof to foster innovation and help turn emerging ideas into new products. The building has three elliptical towers, each housing one of the divisions. 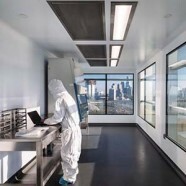 These are lab towers, designed with optimum flexibility and adaptability: We created what we dubbed “the new scientific workplace.” Unlike many laboratories where fixed elements and shelving clutters the space, here, everything is on wheels, so they can reorganize the laboratories for teams and collaborations. 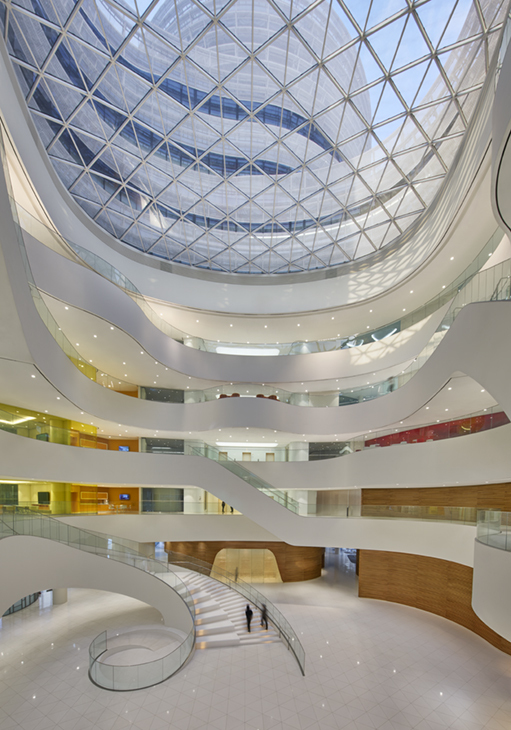 The towers are different heights and the first five floors are joined by a multistory atrium that becomes the civic focal point of the building. 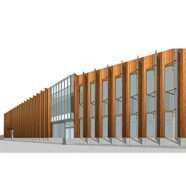 As we planned for the three distinct business units, we wanted to provide comfortable, light-filled, and, at times, fun spaces for the scientists to come together to find commonalities and opportunities to collaborate. Hirons: CJ really wanted this to be a living discovery center, and the environment reflects that with organic forms and natural light that carves and complements spaces. 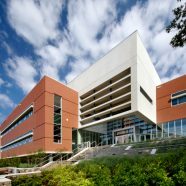 The building’s central atrium reinforces the circulation, and amenities are integrated around it, which encourages interdisciplinary engagement between the different groups of scientists. There are almost 50 different types of spaces in the building that respond to different types of behaviors – ones that connect people, like cafe and coffee areas; where people can meet, like seminar rooms; places for repose, like lounges and a living forest; and places for rejuvenation, like fitness areas. Having the broad spectrum of spaces helps people who are doing very intensive, focused work to have moments of balance in their lives. We looked at the workplace in a very holistic way, and wanted to create an environment that helps the staff feel like they are connected to each other as well as to nature.